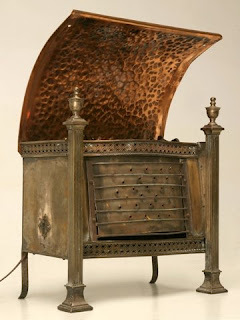 This Vintage English Fireplace is ingenious device originally sat inside a mock fireplace and was designed to give the simulation of real, hot fire coals with the mere flip of a switch. 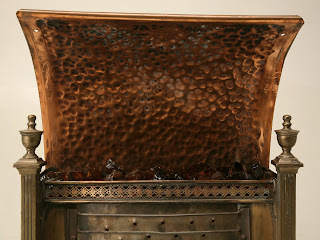 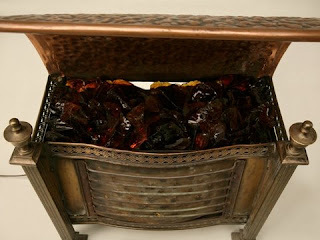 Not only does it cast a rich, "warm" glow, it also adds stylish interest at any time of year with the detailed brass fire box and copper reflector, The maker's mark reads: "Made by Belling & Co. London England Electrical Cooking & Heating Apparatus". 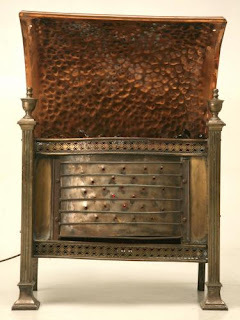 This Vintage English Fireplace is in original condition, see detailed photos above.